Energy Combustion providing all types of flame sensor like UV cell, QRA 2, RAR7, QRB1, flame sensor electrode, QRA10 and much more. 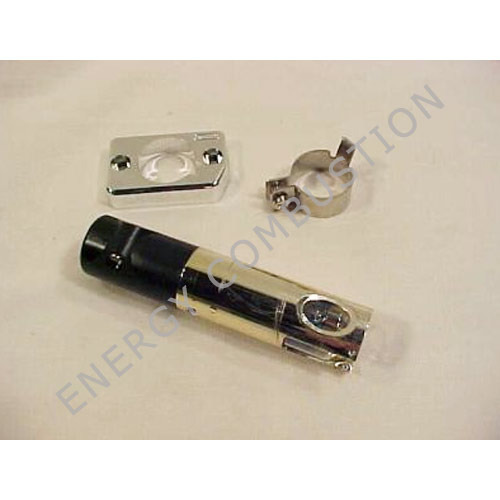 These photocells are used for surveillance and control flame gas burners or oil. An effective method for detecting these devices is the flame which captures ultraviolet radiation emitted by combustion. This method shows the disadvantage of the photocell system classes that are less sensitive to blue light. This photocell is made of metallized plastic to shield the active element of static disturbances that may occur due to friction of air flow (generated by the fan) and sensor. Note: The flame detector is sensitive to the UV component of visible light and thus their use is recommended in closed combustion chamber burners and isolated environments perfect for light from the outside environment. Functional features:The photoresist are optoelectronic devices that have in their structure semiconductor like silicon that due obedience chemical doping process when subjected to the action of ultraviolet radiation are, shows a large increase in electrical conductivity. Because of this feature they are used to communicate with ignition systems, control and safety of the burners fueled with liquid or gaseous fuel.